Air Marshal Mel Hupfeld has been appointed the new Chief of the Royal Australia Air Force. He replaces Air Marshal Leo Davies, who is retiring in July at the conclusion of his four-year stint as CAF, Prime Minister Scott Morrison and Defence Minister Christopher Pyne announced on Thursday. 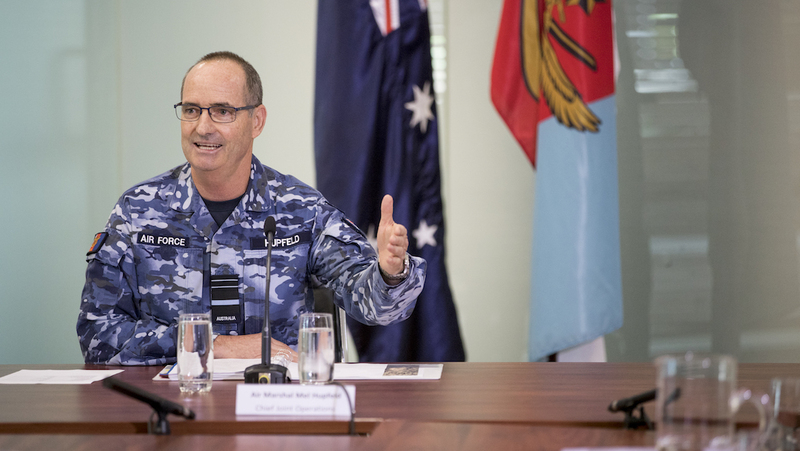 Currently, Air Marshal Hupfeld is Australian Defence Force’s (ADF) Chief of Joint Operations (CJOPS), a position he has held since July 2018. He joined the Royal Australian Air Force (RAAF) in 1980, graduating with a Bachelor of Science degree in 1983 from the RAAF Academy. During his flying career, Air Marshal Hupfeld has flown the Mirage III0 and the F/A-18A/B Hornet, and qualified as a Fighter Combat Instructor (FCI) in 1989. Previous command positions include being Commanding Officer (CO) 75SQN, including on Operations Bastille and Falconer in 2003, Officer Commanding (OC) 81WG, Director of the Combined Air and Space Operations Centre in the Middle East Area of Operations, Commander Air Combat Group (CACG) and Air Commander Australia (ACAUST). He has also served as Deputy Director and Director Aerospace Combat Development, Head Capability Systems Division, acting Chief Capability Development Group (CDG) (during the First Principles Review implementation and disbandment of CDG) and Head Force Design in Vice Chief of Defence Force (VCDF) Group. In 2015 Air Marshal Hupfeld was appointed as an Officer of the Order of Australia (AO) for distinguished service to the Australian Defence Force in senior command and staff appointments. The federal government also announced Major General Greg Bilton as the ADF’s new Chief of Joint Operations (CJOPS). Currently, Major General Bilton is Commander Forces Command for the Australian Army. He has held the position since December 2018. Major General Bilton graduated from the Royal Military College in 1986 and joined the Royal Australian Artillery Regiment. He has held command appointments as Battery Commander 104th Field Battery, Commanding Officer 4th Field Regiment, Commander 7th Brigade, Deputy Commanding General United States Army Pacific and Deputy Chief of Joint Operations. In addition, he has served in staff appointments in the Directorate of Officer Career Management, the Directorate of Force Structure (Army) and as Director General Development and Plans (Army). 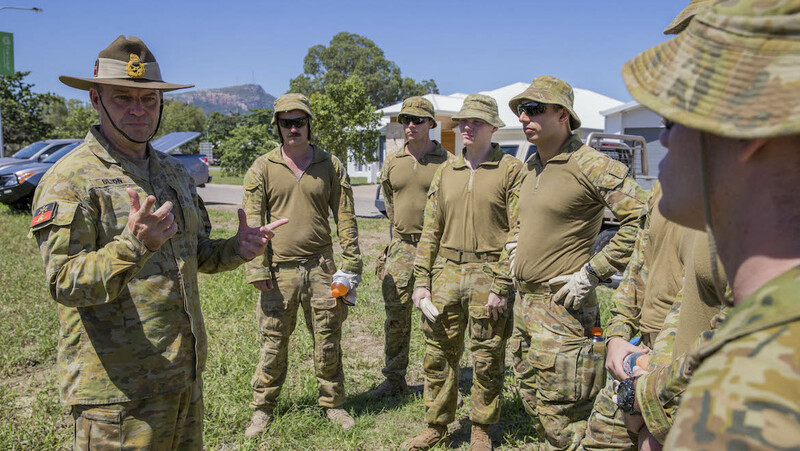 He has also been an instructor at the Australian Command and Staff College. He was awarded the Force Commanders Commendation for his work on Operation MAZURKA in the Sinai, a Conspicuous Service Cross (CSC) for his force structure work at Army Headquarters, the Canadian Meritorious Service Medal for his work in Afghanistan, the United States Legion of Merit and the Japanese Defence Cooperation Medal for his work at United States Army Pacific, and was appointed a member of the Order of Australia in 2014 in recognition of his work as Director General Development and Plans at Army Headquarters and as Commander 7 Brigade.